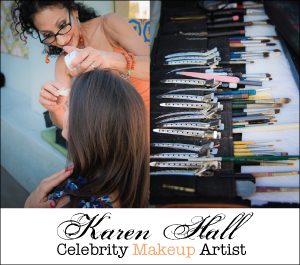 If you caught my KTVK 3TV segment on the Your Life Arizona show today and want more details on the stuff I showed, it is all here…. Summertime brings all kinds of stuff like travel, summer break from school, hot dry temps and more. 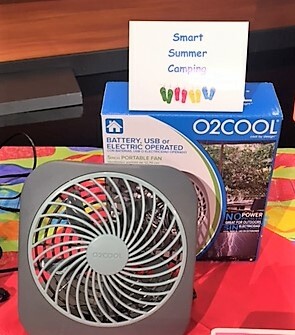 To keep summer fun and manageable, I found some cool gadgets that work great for solutions to summertime issues sun damage protection, traveling with kids, camping smart and more. I also found some stuff that is cool for summer in fashion and fun. Read on to see if one of your summertime issues is solved here and let the summer fun begin as you work to stay cool and keep the kids entertained. *Red, white & blue food – Red frozen grapes (tastes like popsicles when eaten frozen), blueberries and popcorn without butter. *Eat to hydrate snack pack – watermelon chunks, celery sticks with peanut butter and tomato slices with mozzarella cheese and a basil leaf. Watermelon, celery and tomato are all hydrating foods. 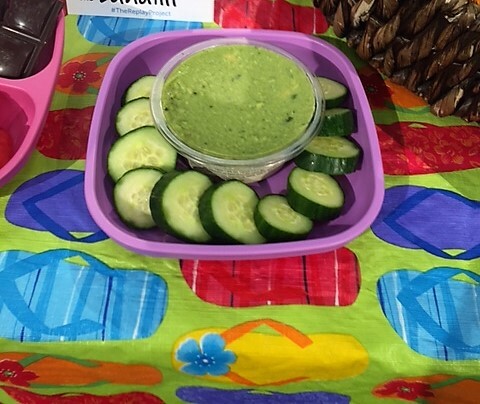 The fun Re-Play dishes for your easy and earth friendly summer snacking are sold for $18 for a set of $6 at Teresa’s Creative Gifts on Facebook. The Re-Play snack cups sell for $21 for a set of six and can be ordered at Teresa’s Creative Gifts on her Facebook account or email her at teresascreativegifts@gmail.com or call 602-710-9181. 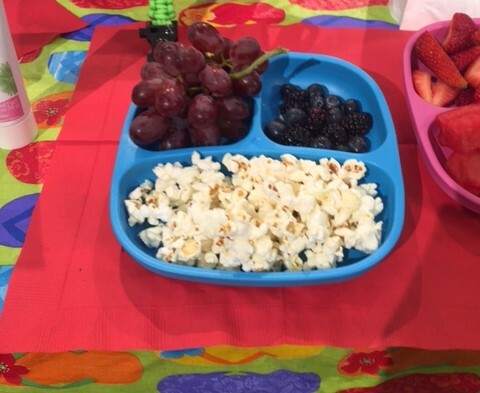 These dishes are made for babies, toddlers and kids and we also use them for our summer snack dishes as described above. Plan to camp this summer? Check out these cool accessories for smarter camping. 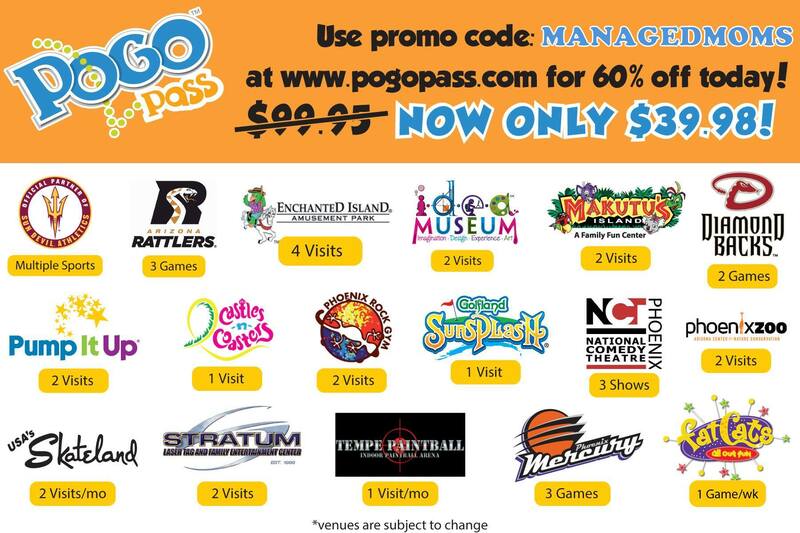 And some of these items make good Father’s Day gift ideas, too. *Adventure Bracelet – This unisex bracelet can be worn or tied to backpack. 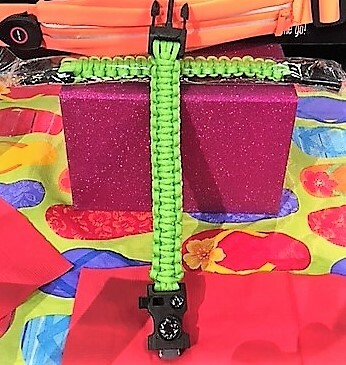 Multiple mini tools are all packaged neatly in the bracelet that includes a compass, temperature gauge, knife, screwdriver, whistle, scraper, fire starter, bottle opener and the cord can be cut if needed. Teresa’s Creative Gifts sells 2 of these for $10. 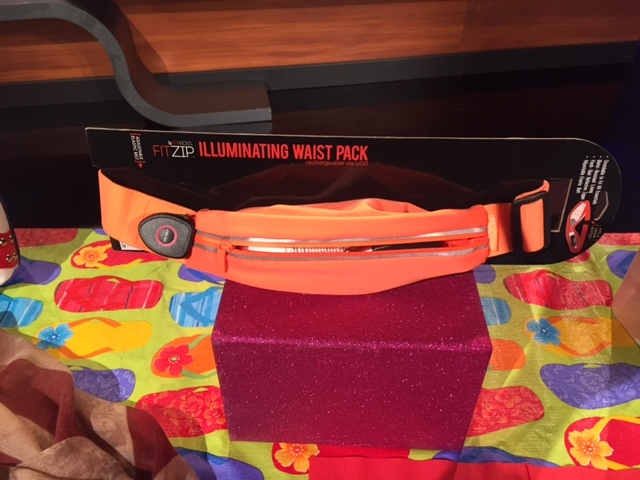 *Fit Zip Illuminating Waist Pack – This expanding fanny pack holds a bottle of water, smart phone, keys and more. Plus, it has a USB charging port and three LED flash modes so you can be seen when camping, hiking, biking and more. $15 each or 2 for $25 at Teresa’s Creative Gifts. 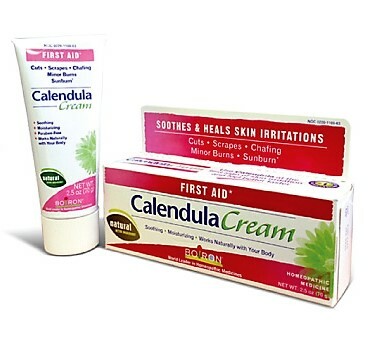 *Boiron Calendula Cream – This is a terrific go to homeopathic cream for all sorts of ailments like cuts, scrapes, minor burns, chaffing, bug bites and sunburn. Calendula contains the natural ingredient, Garden marigold, which has been used for centuries as a healing and soothing substance. The light texture is ideal for use on dry or chafed skin and it is soothing and moisturizing. 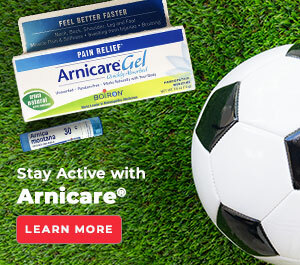 This is such great stuff to know about for camping and for all sorts of summer activities that can result in skin issues. 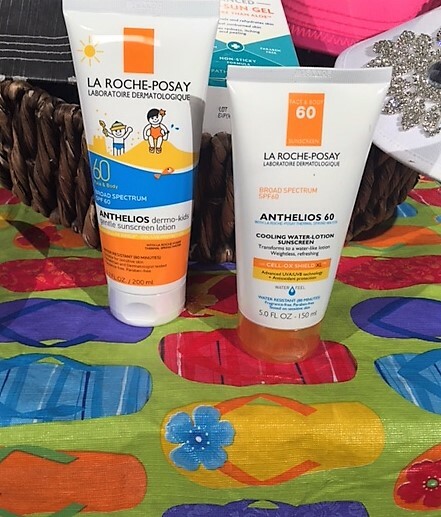 *La Roche Posay sunscreen – I like this line because different options are offered like the La Roche-Posay Anthelios Dermo-Kids Gentle Sunscreen Lotion SPF Broad Spectrum 60 that is paraben-free and fragrance free. I also like the Oil Free La Roche-Posay Anthelios Clear Skin Dry Touch Sunscreen because it doesn’t cause breakouts. This one is also free of parabens and fragrance. 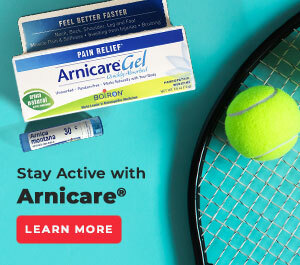 This brand is sold at CVS stores, Walgreens and Target. 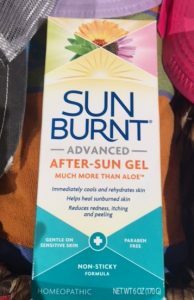 *Sun Burnt Advanced After-Sun Gel – I keep a bottle of this on hand every summer because usually someone ends up getting too much sun. This nonsticky formula is gentle on already sensitive skin and rehydrates chapped and burned skin with aloe, Echinacea, calendula and cantharis. These natural actives soothe, heal and rehydrate skin. I buy mine at Walgreens. *Flapjacks Reversible Hats for kids – With UPF 50+ protection, this cute reversible hat is a must for babies, toddlers and young kids. 90% of sun’s rays are blocked out with this hat. Sold at Teresa’s Creative Gifts for $25 and because it is reversible, it is like you are getting two hats for the price of one! 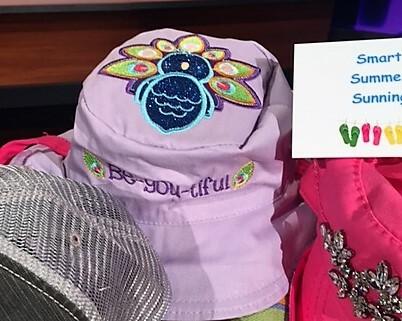 I also showed some stylish and cute hats and bling visors in my segment. All sell at Teresa’s Creative Gifts and the links are in my blog at managedmoms.com. I love when I find parent invented tools that work, especially when it comes to traveling with kids, not an easy thing to do. 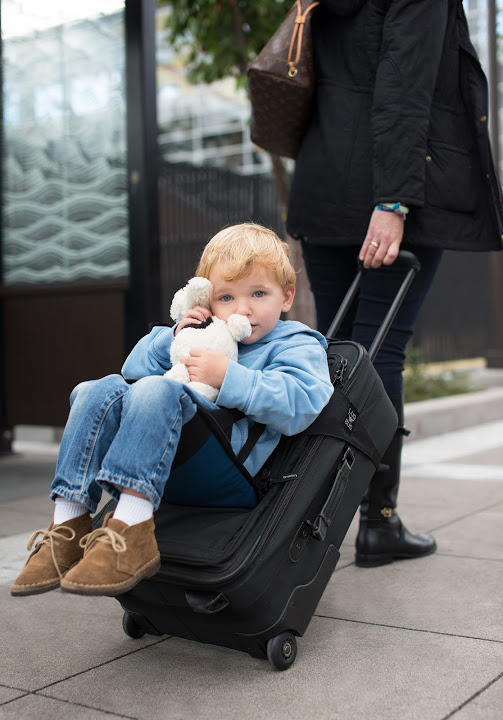 *Lugabug – Busy mom, Jennie Helman, came up with the idea for Lugabug when she was traveling with her young children at a busy airport. Lugabug is a child’s travel seat that secures to luggage, creating the experience of fun, safe and efficient transport for kids. 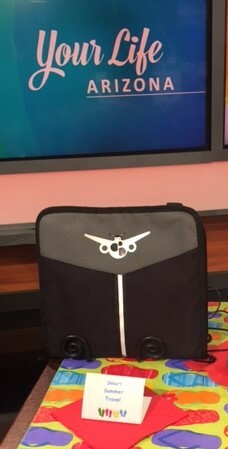 It’s a collapsible, economical and multi-purpose family travel accessory for quality-conscious buyers who prefer a compact product that minimizes their load, not adds to it, and reduces chaos while traveling. The child travel seat secures in seconds without taking up extra space. It is multi-functional and versatile and can also be used as an extra pocket when hung over luggage, a camp chair and/or a sitting pad. The top strap can also be adjusted and worn over the shoulders to carry extra stuff. It is intended for children aged 2 or older; maximum weight of 60 lbs. Made in the U.S.A. It is available for $64 at www.lugabug.com. I found some fun summer stuff as I was putting together the smart summer stuff, so I had to share. Love these items! *4th of July stuff – Look no further than Teresa’s Creative Gifts for all kinds of red, white and blue loot to have you in the spirit of the day come the 4th. 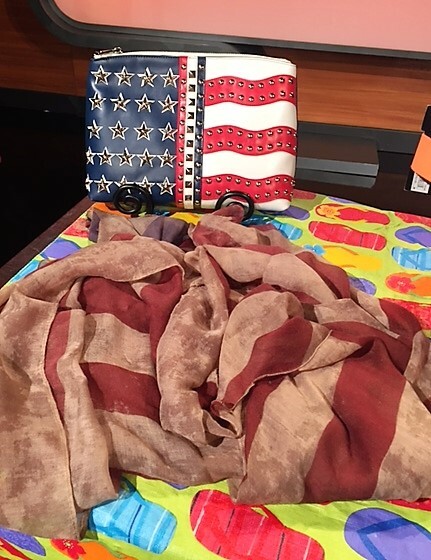 I showed the red, white and blue giant makeup/all-purpose bag ($26) and the red, white and blue scarf/vest (sells for $25 at Teresa’s Creative Gifts). She has a ton of 4th of July items, so take a look to be in the red, white and blue spirit with your dress, accessories, decor and more. Shop Teresa’s Creative Gifts at her facebook account here or email her at teresascreativegifts@gmail.com or call 602-710-9181. *BigMouth Inflatable Pool Party Beverage Boats – I saw these last year at more expensive department stores, so how fun that these are now available for less at Walgreens for $6.99 for a set of two. Unicorn and donut shaped inflatable drink holders float in the pool and keep cups close and upright. So fun! 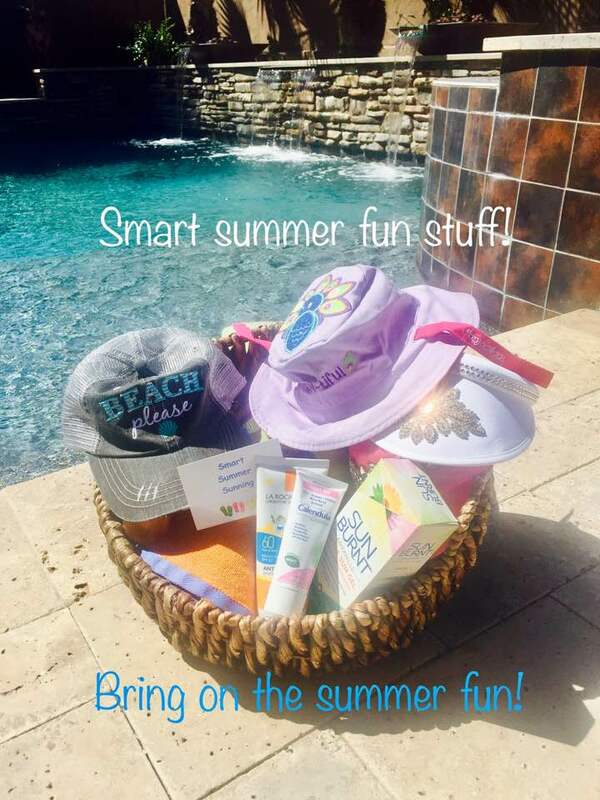 Did I share any smart summer tools or fun summer items that you will use? 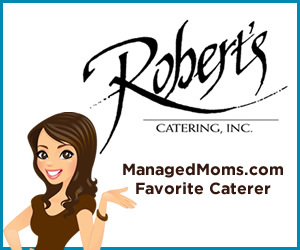 Any I should know about for my blog and segments? Share here in the comments section.